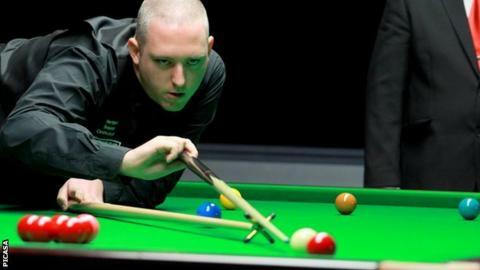 David Grace said he is fine with being the underdog in his UK Championship last-16 tie against Peter Ebdon. The Leeds-based world number 80 stunned Jack Lisowski on Monday by recovering from 3-1 down to win 6-5. The 30-year-old takes on former world champion Ebdon at the York Barbican on Wednesday. "There's not many matches I'm not second favourite for, so it's not something that bothers me really," Grace told the BBC. The former English Amateur winner is confident he will not be overawed by the occasion, despite being on his best ever run in a ranking tournament. "Every round seems to be like is the biggest match of my career, so I feel like I'm used to it now and it's just building slowly," he said.